I have received several emails asking why I don’t write about Dr. Sanjiy M. Narayan’s studies. I must admit to not understanding some aspects of FIRM and was hoping further information would make things clearer. Ablating focal beats and electrical rotors, or as Dr. Narayan describes them, “localized areas of electrical activity” is nothing new. (See 2011 Boston A-Fib Symposium, Using CFAEs in Ablating Persistent A-Fib, and 2009 Boston A-Fib Symposium, CFAEs vs. Dominant Frequency) Dr. Narayan’s FIRM procedure uses the largest 64-pole standard basket catheter to do the mapping and uses “monophasic action potentials” (MAPs) catheter mapping to physiologically identify the A-Fib generating spots in the heart. What is new is the proprietary, patented algorithm Dr. Narayan uses to display the optical images and movies of the activation. (A description of the signal processing Dr. Narayan uses is found in the article “Computational Mapping Identifies Localized Mechanisms for Ablation of Atrial Fibrillation.”) Topera Medical, which licensed this algorithmic-based mapping system, calls it RhythmView. 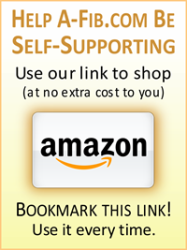 This author doesn’t understand how Dr. Narayan’s proprietary system differs from other non-proprietary systems using basket catheters to map focal beats and rotors, with the possible exception that he uses the largest basket catheter with a wide field of view to be able to map almost an entire atria at one time. After ablating rotors and focal sources found by his FIRM mapping system, Dr. Narayan also ablates the pulmonary veins utilizing wide area circumferential ablation—similar to what is currently done in most A-Fib centers. According to Dr. Narayan, “patients undergoing this targeted ablation (FIRM) experienced a superior rate of AF elimination in the long-term compared to patients undergoing traditional ablation procedures focusing on trigger mechanisms near the pulmonary veins.” Yet, after ablating rotors and focal sources found by his FIRM mapping system, Dr. Narayan also ablates the pulmonary veins utilizing wide area circumferential ablation—similar to what is currently done in most A-Fib centers. Dr. Narayan’s approach differs from standard operating procedure in almost all centers which start with ablating or isolating the pulmonary vein openings first before moving to other areas. To this author, Dr. Narayan’s approach doesn’t make intuitive sense. If the pulmonary veins are still firing when mapping is done of the rest of the atrium, wouldn’t these PV signals interfere with or confuse the mapping? 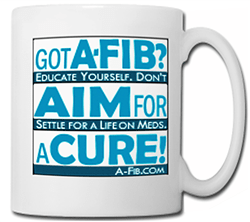 In most paroxysmal A-Fib patients, isolating the pulmonary veins is often all that’s needed to eliminate A-Fib (these patients often don’t have any other sources of A-Fib signals outside of the pulmonary veins). Dr. Narayan found that patients with persistent A-Fib had more sources than those with paroxysmal A-Fib, though these sources were few in number—only about 2 for both atria. 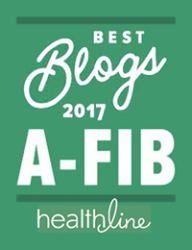 This is in contrast to previous studies which have found a greater number of A-Fib producing spots, especially in persistent A-Fib patients. 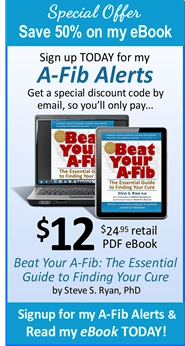 Dr. Narayan found that almost one-quarter of A-Fib sources come from the right atrium. PRECISE-PAF trial results of FIRM ablation for atrial fibrillation without pulmonary vein isolation (PVI). This was a multi-center trial performed at nine centers with 33 patients showed a 67% termination of A-Fib, with another 17% showing a greater than 10% slowing in their A-Fib. This is a relatively few number of patients. Right now doctors doing ablations on patients with persistent A-Fib spend a great deal of time and effort tracking down and ablating rotors and focal sources of A-Fib. 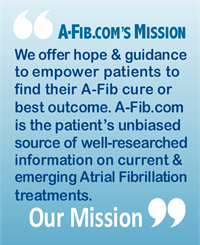 If Dr. Narayan’s FIRM system makes this part of the ablation procedure easier, faster and more accurate, this would be a major medical breakthrough for A-Fib patients and doctors. But one can question the validity and accuracy of the FIRM system, since it typically finds only about 2 A-Fib sources in each atria. It’s hard to compare Dr. Narayan’s results or to say his approach is superior to standard Pulmonary Vein Isolation. 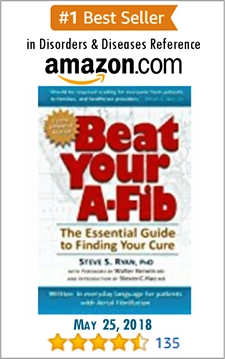 Most experienced A-Fib centers achieve around a 67% success rate as Dr. Narayan does. Though Dr. Narayan first ablates rotors and focal sources in the left atrium, he does later ablate the Pulmonary Veins like almost all other centers. A second important innovation of Dr. Narayan’s FIRM mapping system is the finding that one-quarter of A-Fib signals come from the right atrium. If future trials confirm this finding, doctors might have to change their ablation procedures and direct more attention to the right atrium.